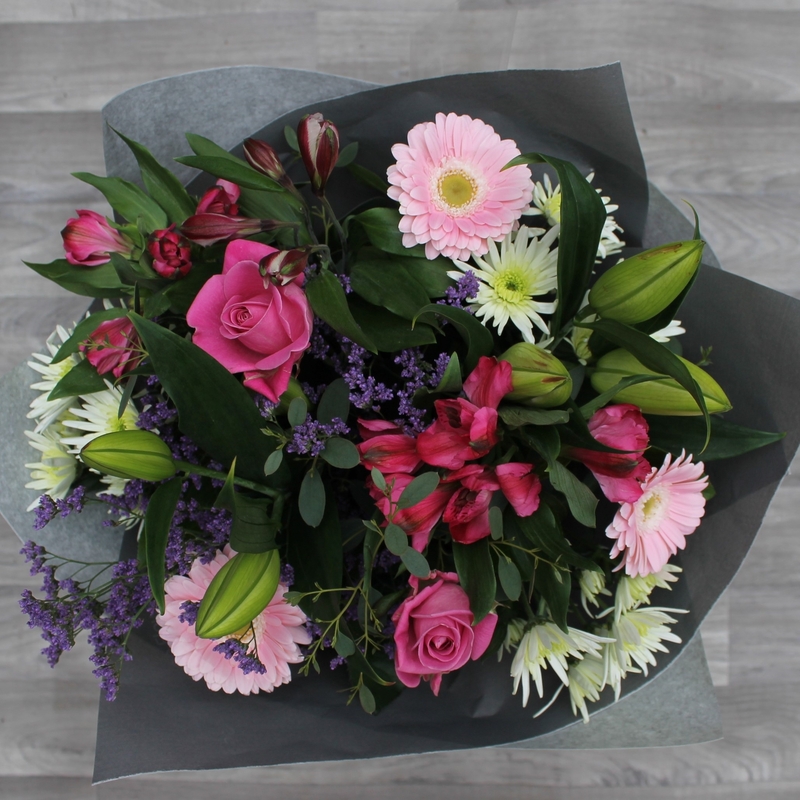 A beautiful summery mixture of pink and purple flowers. 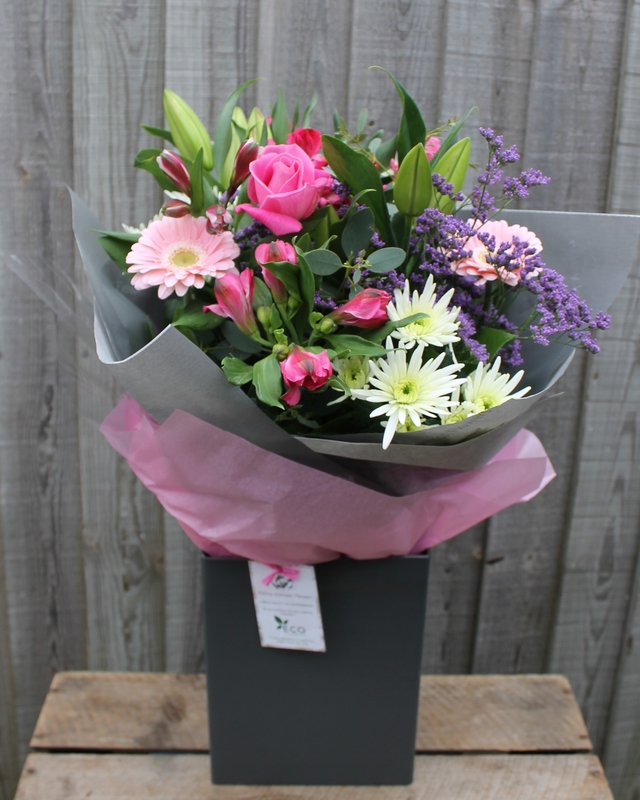 This Summery Bouquet Includes White Oriental Lily, 2 Cerise Large Headed Roses, 1 x Purple Statice, 3 x Pink Germini, 3 x Dellianne Chrysanthemums, 3 x Pink Alstromeria with Foliage. Hand Tied And Gift Wrapped In Our Signature Penny Johnson Flowers Cellophane, Tissue And A Gift Box In Water Source.